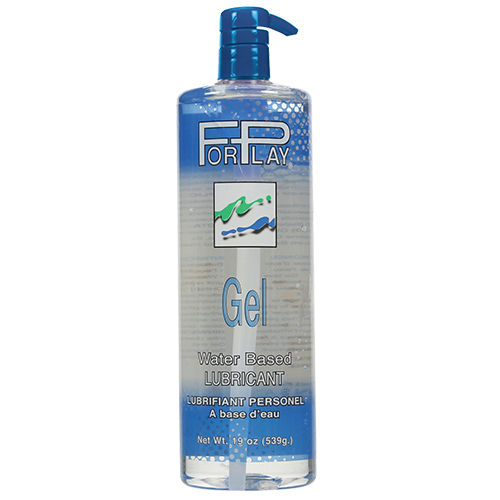 ForPlay® Gel Personal Lubricant is a water based gel formula, and a favorite lubricant for those who prefer a more natural enhancing lubricant. Doctor recommended ForPlay® Gel personal Lubricant is condom compatible for both latex and polyurethane condoms. A velvety soft and silky smooth lubricant, ForPlay® Gel has a unique, long lasting lubricity that will add to your fun, comfort, and pleasure. ForPlay Personal Lubricant’s extensive laboratory testing and quality controls meet the highest ethical and Pharmaceutical Manufacturing Standards. Ingredients: Glycerine, Purified Water (Aqua), Propylene Glycol, Cellulose Gum, Sodium Benzoate, Potassium Sorbate.